Stanthorpe Accommodation ~ Diamondvale Cottages and Lodge ranked #1 in Stanthorpe and South East Queensland and #16 in Australia. Discover why…. 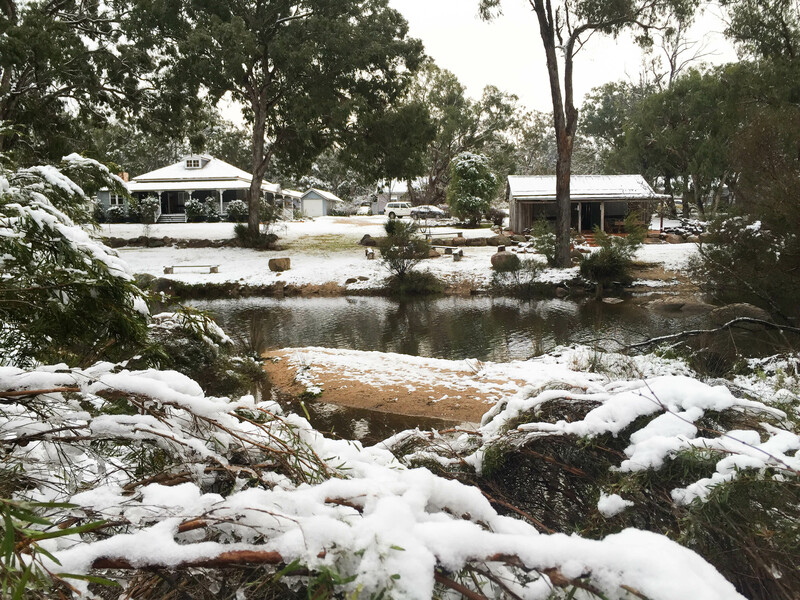 Stanthorpe’s BEST location – less than 2kms to town and 600 metres from the road on the banks of Quart Pot Creek. No road noise, perfectly peaceful, country style cottages. 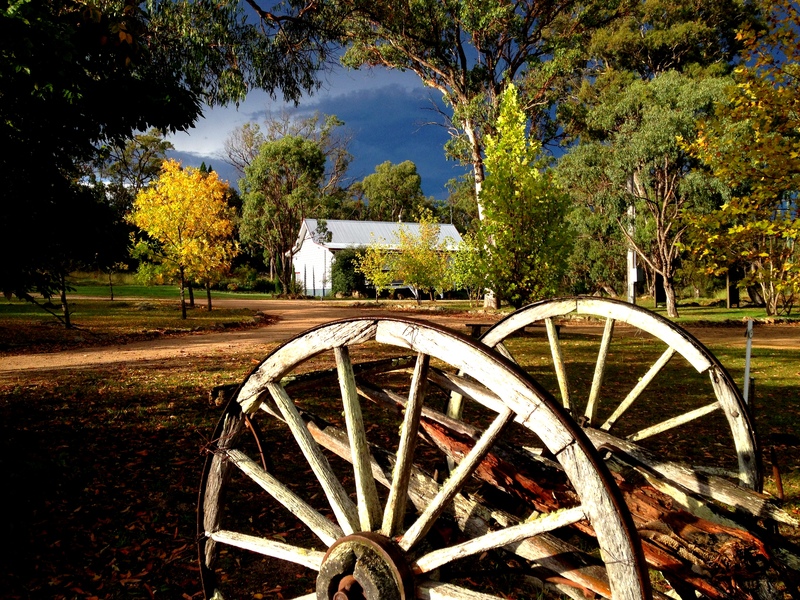 Diamondvale Cottages – Cottages in Stanthorpe. Romantic heritage style cottages – self contained kitchens, log fires, balconies, and filled with little luxuries – when only the best will do for you on your well earned break away from the bustle of everyday living. 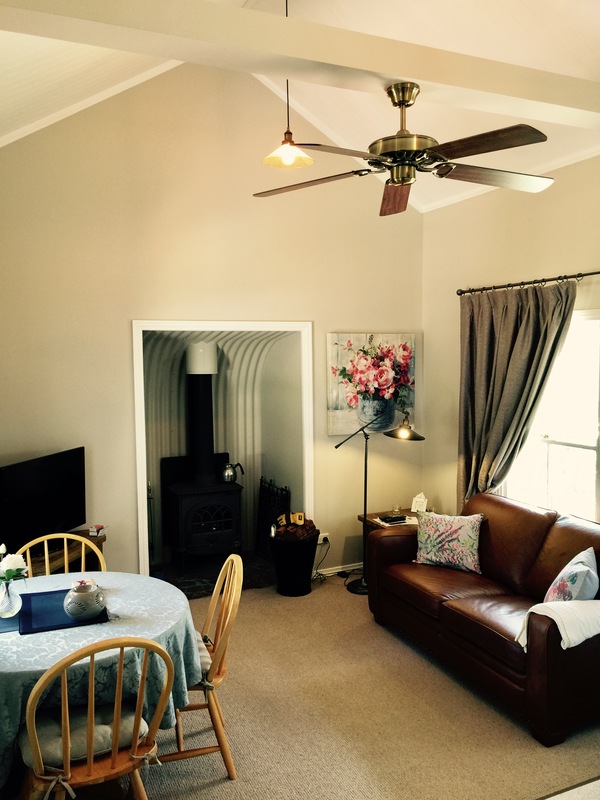 Diamondvale Lodge – Luxury group holiday accommodation Stanthorpe ~ for those wishing to totally indulge with a group of close friends or family. 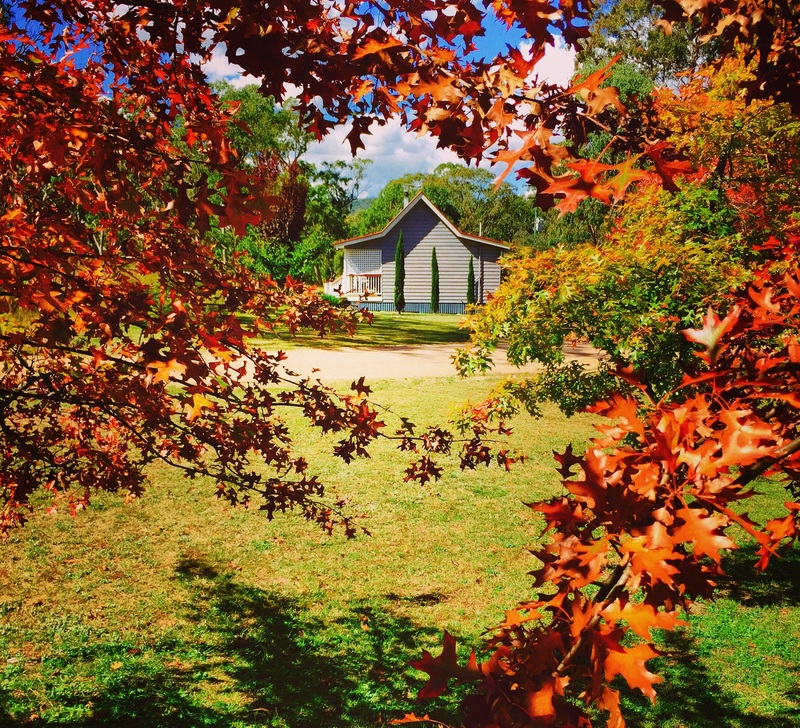 Diamondvale Cottages offers you secluded luxury bed and breakfast accommodation only three minutes drive from the centre of Stanthorpe staying in your choice of cottage. Absolutely the best Stanthorpe accommodation location! 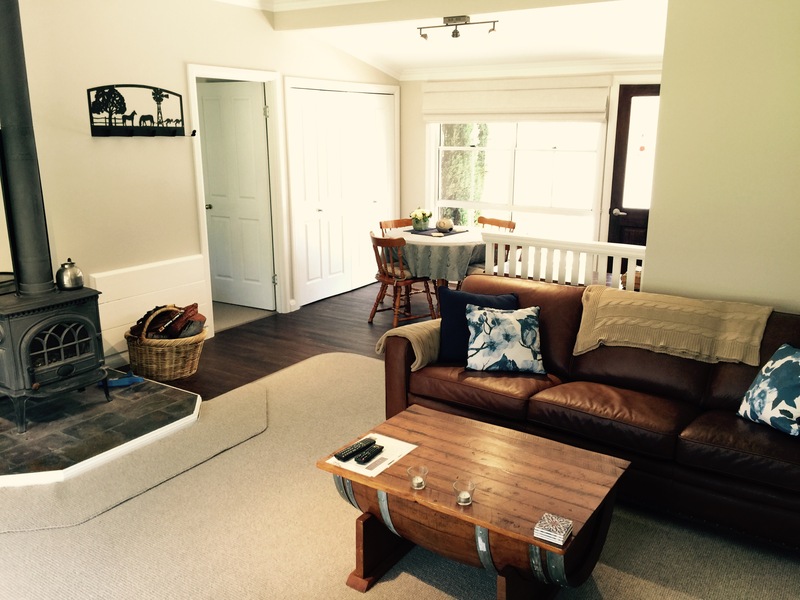 Each cottage has been individually designed to suit a number of accommodation options. We cater equally for a couple who wish to enjoy a romantic getaway, or a group of up to twenty who wish to escape and savour what the Granite Belt has to offer. It’s important to know that Diamondvale’s Cottages and Diamondvale’s Lodge are separated by Quart Pot Creek and have different addresses. Whilst guests can walk between the two, vehicle access is restricted to the grounds of either the Cottages or the Lodge. Examine our aerial shot below of Diamondvale to get a better understanding of the layout. You can explore the 30 acre property beside tranquil Quart Pot Creek, or follow the popular Heritage Trail walk by the rocky water holes into town, and enjoy the native bushland and wildlife along the way. A hearty country breakfast can be delivered to your door piping hot each morning. Our generous breakfasts are renowned to give you a great start to your day on the Granite Belt. Look for our breakfast options menu on the “Dining Options” page. A pleasant 2.5 hour drive from Brisbane. Close to the Wineries and National Parks. 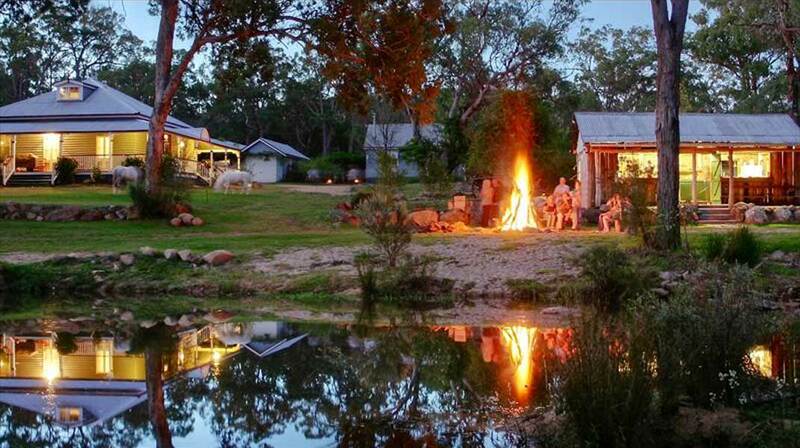 30 acre bushland retreat by Quart Pot Creek. Walk to town along the "Heritage Trail" ~ 20 minutes to the information centre. Less than 3 minutes drive from the centre of Stanthorpe. Ambient, enclosed slab hut BBQ area overlooking the creek. Log fires, cooking facilities, TV and video. Choose to have hearty, fully cooked breakfasts delivered. 24-hour onsite management from owners in residence. With over 200 different accommodation options in the region, Diamondvale strives to be the first choice for those looking for quality accommodation that combines absolute comfort with great service in a real country setting. The testimonials are proof that Diamondvale is a real "gem". 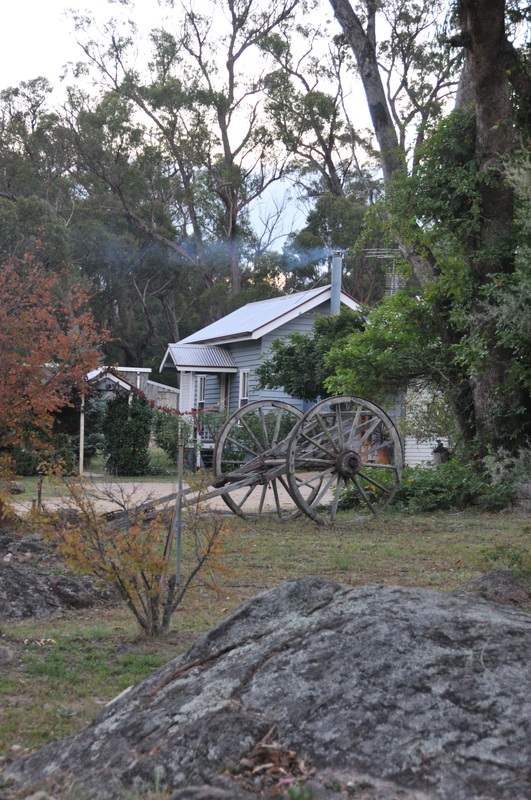 Diamondvale was the first B&B in Stanthorpe. With only 3 owners and over 3 decades of business, Diamondvale has become synonymous with quality, value for money and good "old fashioned" service. Quart Pot Creek provides a natural centrepiece by which the cottages and the Lodge are divided. This allows guests privacy and the ultimate bush setting to enjoy their country holiday. Why stay with us? Well, we don't like to play our own fiddle, but it is important that you understand what Diamondvale has to offer so you know what product you're purchasing. We've compiled a list of what guests commonly compliment us on and these have become the "trademarks" of the Diamondvale experience, as it's not just a room to stay in, it's a place where memories are made. Wow this place was just what our busy nursing group of friends needed 3 nights away in this beautiful hidden gem of a place. So peaceful and the self contained cottages had everything you needed. We even had some cooler whether and when we came to lighting our fire it was an absolute delight to find it already prepared and organised. We just had to lite the match and bingo 20 minutes latter our cottage was transformed into a cozy retreat that we could enjoy even more. Very friendly staff and the owners made us feel very welcome. What a lovely touch by leaving some home baking for us to enjoy on the road trip home. I would stay again in a heart beat and definitely recommend Diamondvale to anybody looking for something quite special. Thank you for providing such wonderful accommodation at such an affordable price. It far exceeded my expectations.